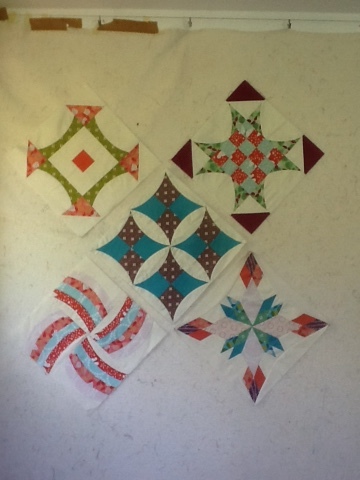 them into quilt tops for the fabulous charity Siblings Together. The charity brings brothers and sisters together in holiday camps and at weekends when they are separated in the uk care system. It keeps important family bonds going despite difficult times. 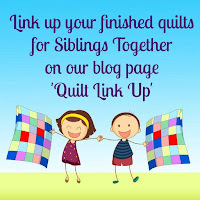 The siblings together quilt group led by Maria, Carol and I makes 100 quilts and more every year so each child can have a quilt to remember fun times with their siblings when they return to the care system be it a children's home, or foster care. 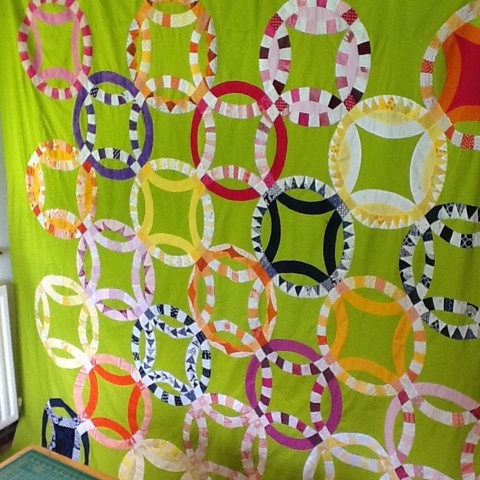 But we couldn't do it without lots of help from the very generous quilting community. If you have a few orphan blocks sitting in a box, perhaps you could do something with them for charity, or donate them to someone who will. Orphan blocks count as scraps in my book. They are scraps that are organised and pre-sewn and therefore very useful for making quilts quickly for charity or any other purpose - perhaps a quick baby quilt or birthday! So I would encourage you to have a clear out ! 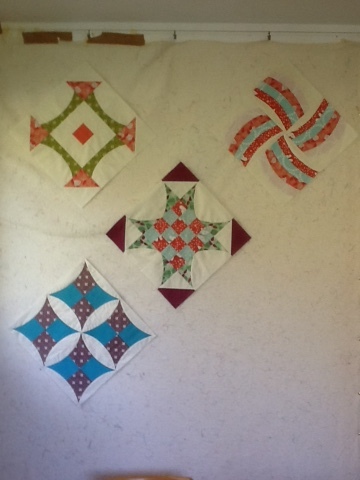 I received these gorgeous blocks from Trudi Wood who does the most amazing longarm quilting. She also sent me some leftover fabrics she used and some similar fabrics in the same range which helps enormously when I make new blocks to integrate with the orphan blocks. They looked great square but putting them on point gives them more movement and makes the arrangement bigger once the setting triangles are added. I wanted one more whole block - but what to add ? 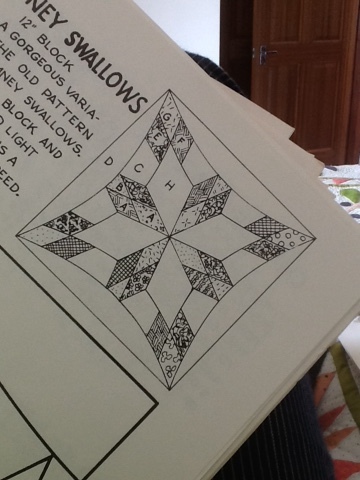 I chose this beauty from an old patchwork book; the block is called Chimney Swallow(s). I may have to make a quilt with these someday. The other blocks are 16" so I had to increase the size of the 12" pattern in the book by one third (thanks Helen for the maths) to get the right size of templates (easy on a photocopier 133%). Then as the curves are quite gentle I managed to piece it all on my sewing machine. I think they work well together. But I wanted them to stand out even more so added a frame which pulls out one of the colours in the block. I have used this technique before and love what it does to my blocks. It really emphasises that colour in the block, it makes them bigger of course and helps stabilise any bias edges too. The next challenge is to fill those gaps! 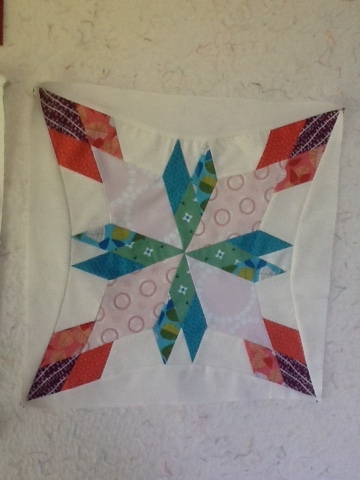 I was thinking of a scrappy fill in but am now considering making half blocks! Either will look good I think and you can be certain I'll be adding my scraps to the leftovers received from Trudi to make whatever goes in there! 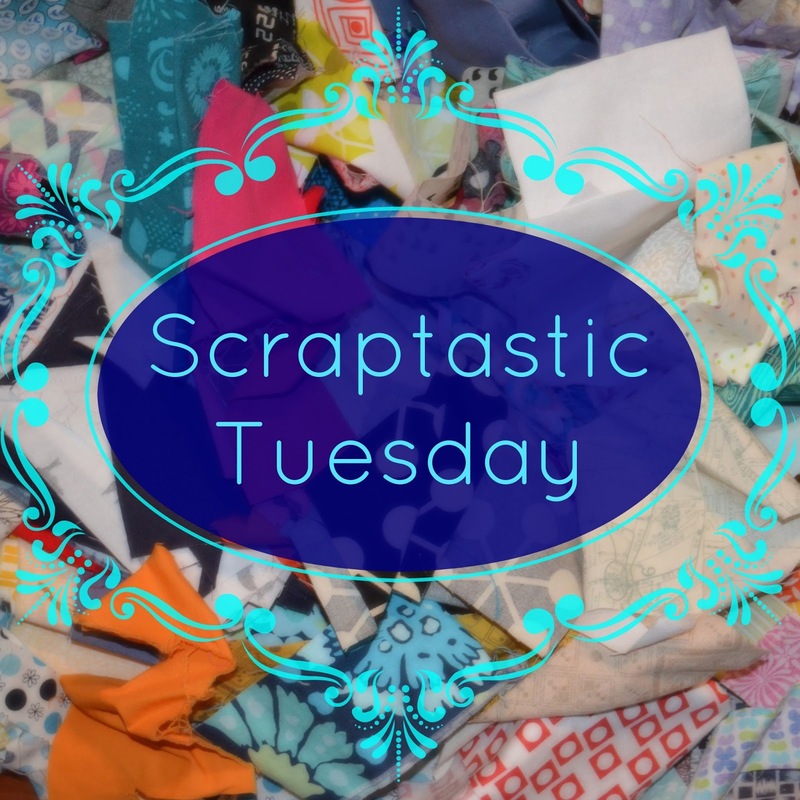 Well it is the second Tuesday of April and time to share your scrappy projects, in progress or completed or your tips for using or organizing your scraps. I haven't managed to finish anything in the last quarter nor the one before! Shocking I know as I am helping to host this finish fest! 1. 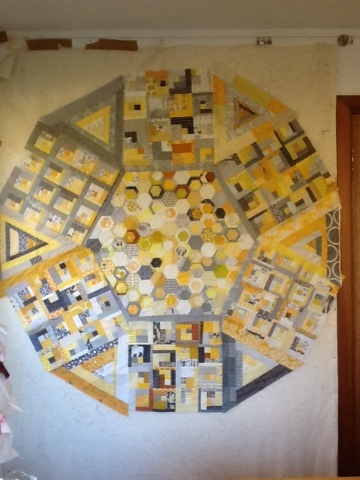 I have recently made lots of progress with this quilt. 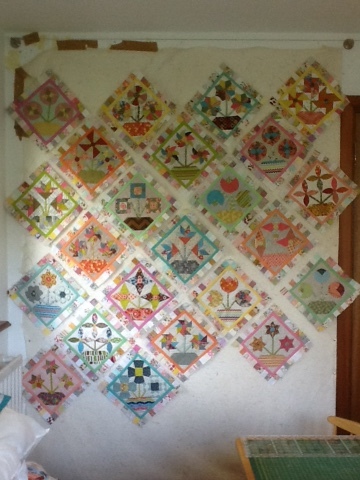 The pattern is Bring Me Flowers by Jen Kingwell but I will be adding blocks and finishing it differently. I love that Jen Kingwell look. 3. 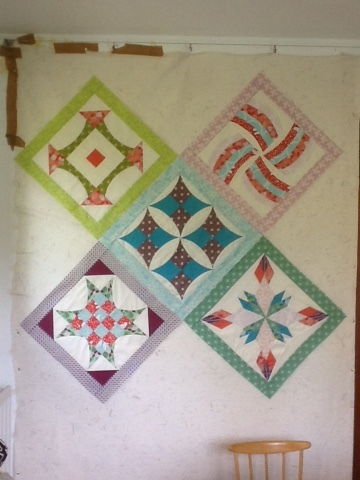 This is my latest Scraptastic Sampler quilt - I have started quilting it but I'm not really sure how I want to quilt the alternate blocks. Still waiting for inspiration. 4. 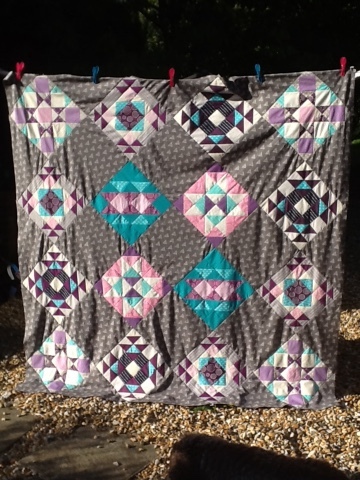 My Hoopla quilt - my version of a double wedding ring quilt - the top is complete but again I need to think how to quilt it! I have lots of other projects and maybe some of them will get finished too! But these are the ones I'd be ever so pleased to finish. I think this is my shortest list ever. It's time to link up your list of unfinished projects that you propose to finish in Q2 of the FAL. I truly hope you are facing a new quarter with a brand new list - because you finished so many UFOs in Q1 - unlike me! It is very helpful if you tag your list as #2017FALQ2yourname when posting on social media: Flickr, Facebook & Instagram. Using the same hashtag over the quarter when sharing progress or finishes before the link, helps the hosts find your original list quickly - especially when this is done over a 3 month period. IMPORTANT: Don't forget to link your finishes up when the quarter closes. The 2017 Q2 link for your list of proposed finishes is now open below on my blog and on each of the hosting blogs. You need only link your list once, on one blog - and that link will show up on all of the blogs. If you are using Facebook, Flickr or Instagram, link a mosaic and put your list in the description. Katy of The Littlest Thistle has a great tutorial on how to link-up if you need it. We also ask that you become part of the FAL community. 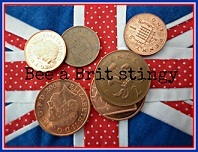 Please check out the links of others - visit and comment on their lists. We all need encouragement to get those finishes done, so please share some of your own too. When creating your list there is one thing to remember....No deductions for not completing something so ..... Aim High! Nothing to lose!!! Well Now..... Get those lists together and get linked up. The Q2 proposed finish linky party will stay open until 11 pm EST, April 8, 2017- as we are global, you might want to check your time zone to determine your last possible time to link. 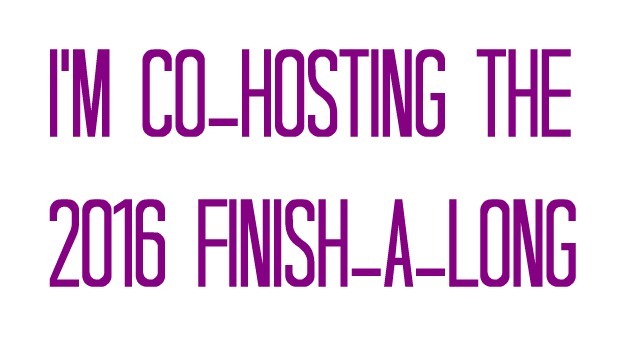 Remember: you only need to link up on ONE hosting blog and it will automatically show up on all hosting blogs.